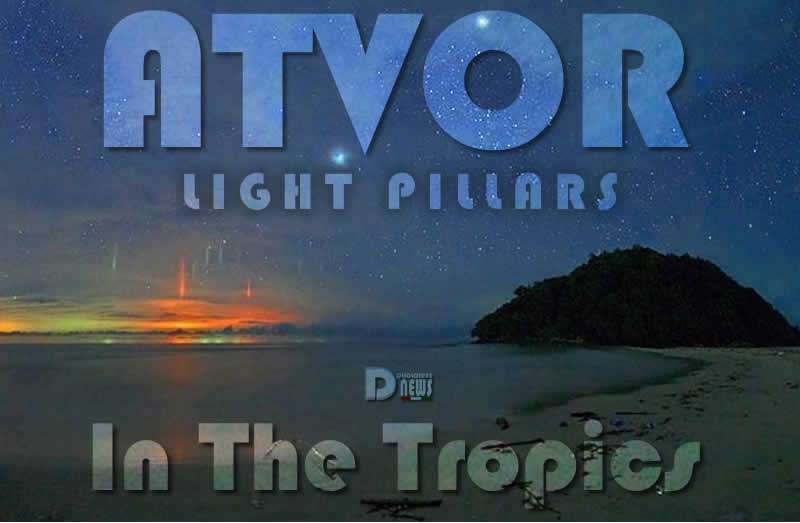 ATVOR Light Pillars in the Tropics. Edited by Disclosure News. Originally published by Strange Sound. 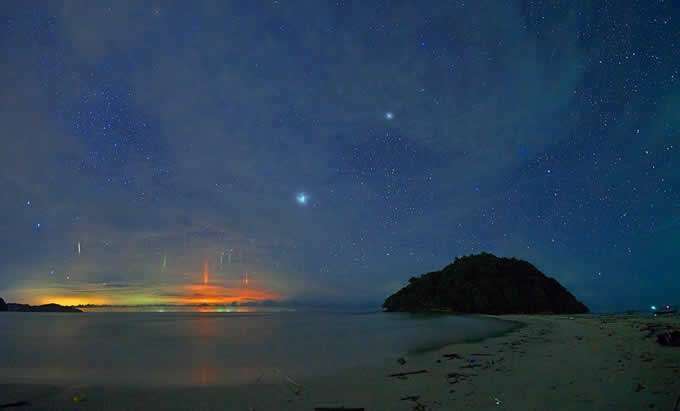 These Light Pillars appeared in the Borneo sky, according to academic explanations are a characteristic phenomenon of the Polar regions during the particularly cold days should be impossible in the Tropical regions. Most likely the accademics will find a “credible” explanation. On June 22, 2017, a group of astrophotographers – out to capture shots of the Milky Way – were surprised by these anomalous pillars of light Pulau Kelambu, located at the tip of Borneo between the Tropic of Cancer and the Equator. The multicoloured light pillars, the scientific materialism says, are a natural phenomenon that occurs when light reflects off the mirror-like surfaces of ice crystals. They are usually found in the polar regions, but have appeared at lower latitudes before. Light pillars occur when the source of the light — either the sun, or the moon — are near the horizon. The lights tend to take on the colour of the light source. In Borneo le temperature, durante tutto l’anno, variano in media tra i 27° C e i 32° C, con un’umidità relativa circa dell’80%. It is unclear how such ice crystals can form, even at high altitudes, as the standard temperature decreases ic 2 degrees every 1000 ft. 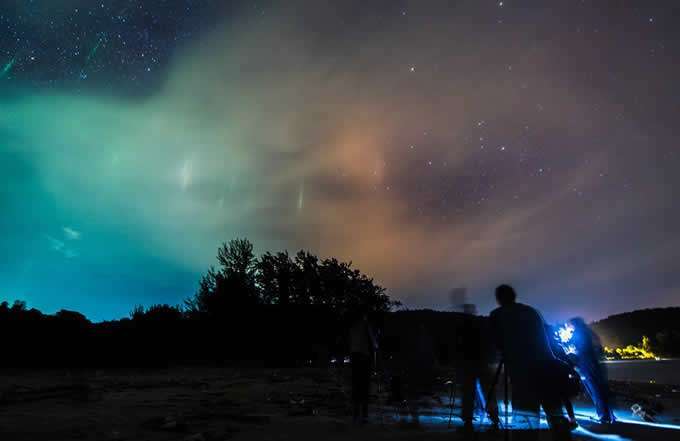 It would take several tens of thousand feet to reach 0° C.
This phenomenon confirms the installation of the Atvor Light Pillars, a teohnology of the Light Forces, all over the world, as Cobra and Pleiades have said.